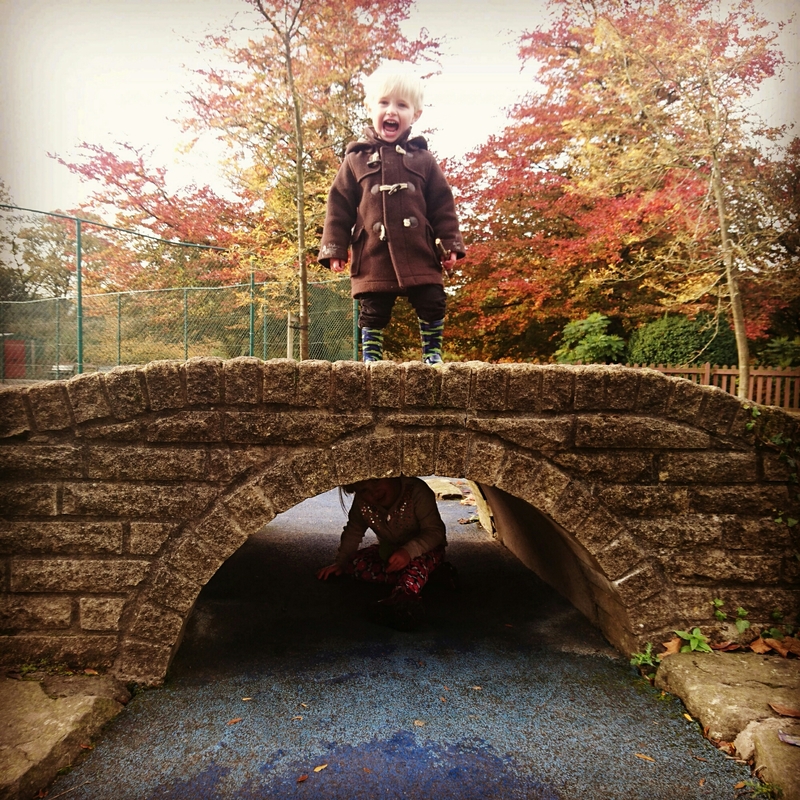 The kids are ill and we are too… it’s just a recipe for a horrible couple of weeks. And, you know, we’re not even that bad in the grand scheme of things. We’ve all had a cold, which has meant Dexter being up every night for the last couple of weeks, coughing until he’s sicked up a load of phlegm (gross, I’m sorry) and now Corliss has got her poorly pants on too. She vomited all over her bed last night, then all over me and the living room carpet today. There’s nothing else I could do for her, other than clean her up, give her some Calpol, her own water bottle with her name on it (which she loved) and cuddles while watching films. 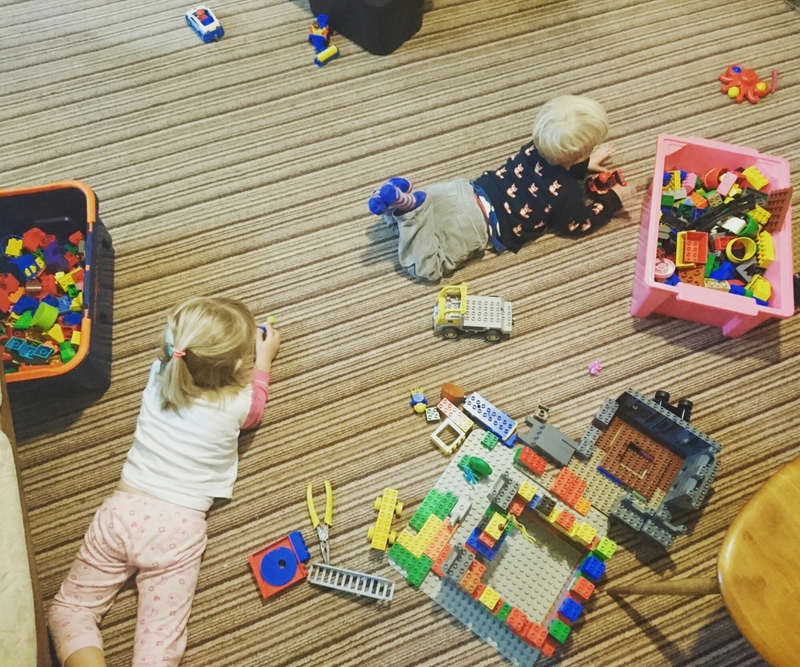 We did spend a bit of time with the Duplo, and I realised how much of the stuff we’ve got! We could build a real castle with it, I’m sure. Dex is finally getting the hang of building with it and he does love making castles, then lining the people up along the walls. Medieval castle definitely had skater boys and zoo keepers keeping out the invaders. Other than duplo building skills, he’s developing his speech a bit more. We watched the 2015 remake of Cinderella as well today (I thought I’d hate it, I loved it!) and when her carriage – spoiler alert! – turns back into a pumpkin, he was pointing at the screen along, “What happen, Lella?” He does love ‘Lella’, and keeps one of those velvet colouring pictures of her in his room. The shop down the bottom of our road sells them for £1 and a walk down there to buy a couple of those has saved me on many a whingey afternoon. So, November. Apart from being the month of illness, it’s the month of birthdays. Both of them in fact, one day after the other. Dexter missed having the same birthday as Corliss by an hour! As a result we have a very busy, but hopefully fun weekend lined up for the two of them. Family will be visiting, I think we’re going to the Kirklees Light Railway with everyone one day, then there will be a party each for them. It’s times like these that I wish I had any kind of cake baking skills. If you follow me on Instagram, you’ll notice there’s a distinct lack of close up cake pictures… it’s just not in my skill set. That’s more in my skill set! Thinking up daft things to do with pumpkins. 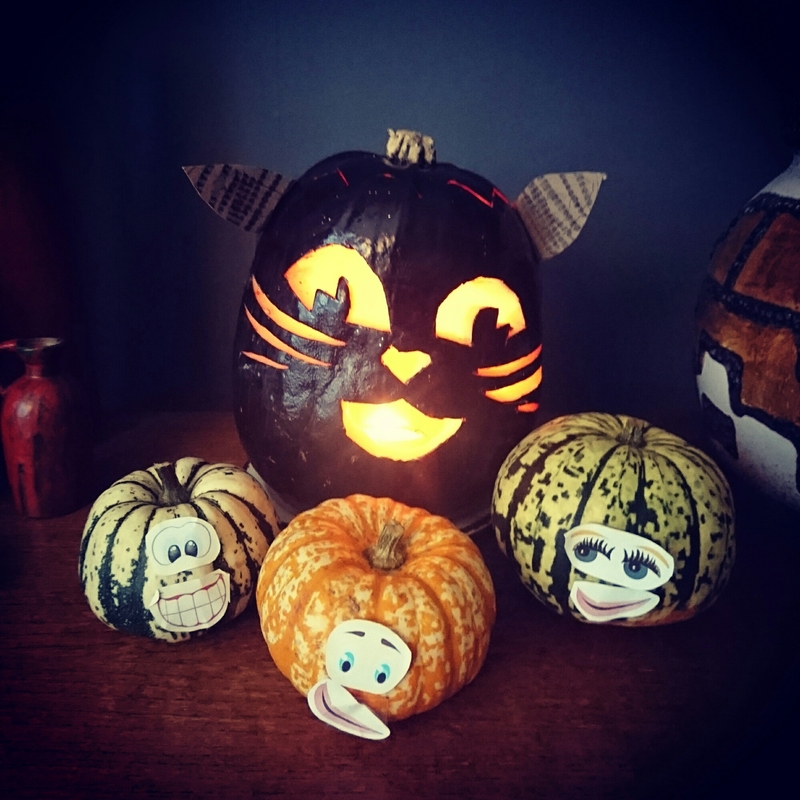 These were the ‘Emotional Pumpkins’ I made with Corliss, which then hung around dinner times for a week afterwards. The day after Halloween, I chopped the biggest ones up and made a curry out of them. I felt bad about it for about two seconds. What plans will November bring for you?